Prince Paul w/ Dirty Art Club at Snug Harbor Reviewed by Joshua Gooch on September 19, 2017 . Once again Snug Harbor brings a hip-hop legend to Charlotte, NC as legendary producer and DJ Prince Paul has hit the road bringing a good time and news of new music with him. Teaming up for this stop was local electronic musician Dirty Art Club, also with a stellar new album out, and preparing to hit the road. For hip-hop heads in the queen city attendance was a must! The recent release of Basement Seance from Dirty Art Club signals a new era in the act as it went from two to a one man show since the last album release. The change may have impacted the sound in some fashion but the overall vibe on Basement Seance has remained true to previous releases, sample driven electronic grooves that stand out as fully produced content and not just just a beat mixtape awaiting vocals. The new album should certainly signal a new era for Dirty Art Club and so it’s time to hit the road and promote. Teaming up with fellow producer Wax-Tailor for select dates through the US Dirty Art Club will be helping to bring the beats to the masses. This night we were treated to a small sampling as Dirty Art Club presented a fairly short set (about 30 minutes) but really helped set up the night establishing a groove and showcasing how well the mood and sound of Dirty Art Club functions as a live set. 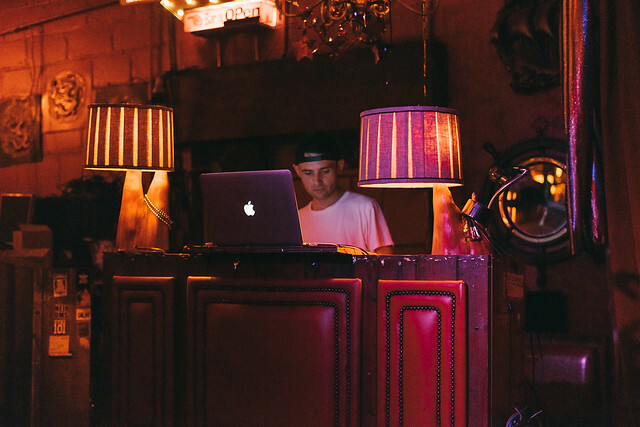 This set, while short, showcased what should translate to a stellar line up with Dirty Art Club and Wax-Tailor as they make their way across the US. Headlining for the night, Prince Paul needed absolutely no introduction as he stepped behind the turntables. 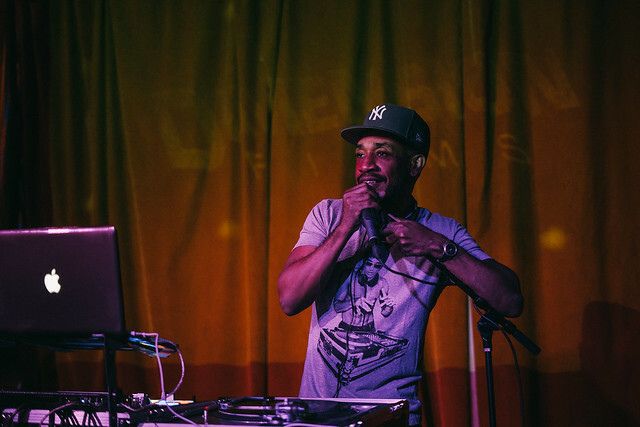 As a producer, Prince Paul can usually be found in some form of music studio but he was quick to point out to the crowd that first and foremost he is a DJ. Rocking an eclectic mix of hip-hop hits and random joints outside the hip-hop universe, Prince Paul showcased DJ skills across the spectrum and proved that a good DJ set is more than spinning records but also showcasing personality. While the crowd reveled at the drop of major hip-hop joints from every era of the genre Paul continuously chimed in to keep the party going and everyone from the front to the back of the room involved. With a wonderfully curated set with many tracks from Prince Paul’s unbelievable career in hip-hop and with crowd pleasers at every stage in the set it was well evident that Prince Paul knows how to rock a party outside of a studio as much as producing a classic on an album. 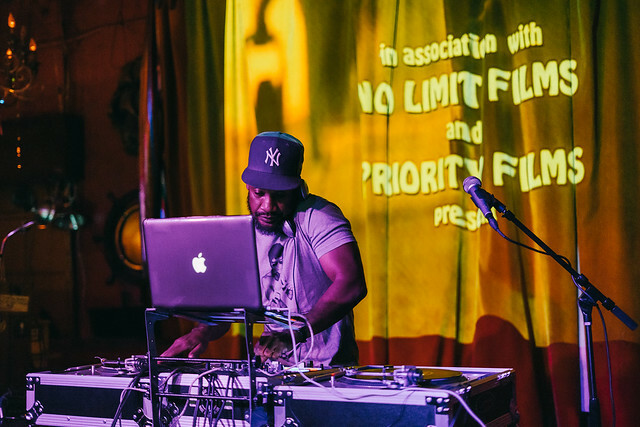 Do not miss a chance to catch a DJ set from Prince Paul if he comes to your town and in the meantime be on the lookout for multiple new projects coming up soon from the man himself. Photographer Josh Gooch is a North Carolina native and a graduate of Appalachian State, Josh Gooch works in education, teaching graphic design at the community college level. Photography became a passion during his college career, and remained a constant addition to the ever-present soundtrack of life. Privileged to have turned an ear to hip-hop at a young age, after developing a love of music from ‘80s radio, Josh found that the revelation of rock music in high school was what led him to really devote serious amounts of attention to music. From there it was that first club show that sparked an addiction to live music and the exposure to various forms of it during the college years, cementing a love of passion and truth in music. Now, with the ability to combine the passions of photography and music, he hopes to continue to develop a creative voice that others appreciate.